Daniels calls AP story "utter distortion"
The president of Purdue disagrees with an Associated Press article written about him during the time he was governor. 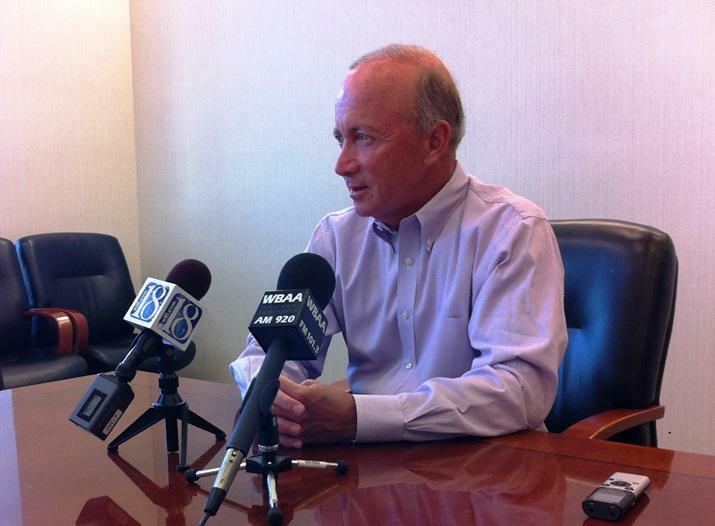 Mitch Daniels calls the story erroneous and unfair. The A.P. reports on an email exchange in February of 2010 that shows Daniels requested banning historian Howard Zinn’s writings from classrooms. The story also includes emails from 2009 regarding an IUPUI professor who was a critic of Daniels. Purdue President Mitch Daniels speaks to reporters about an Associated Press story referencing historian Howard Zinn and censorship. Daniels says the two topics are not connected, but were put together for this story and are distorted. Daniels says the state has a right to review K-12 curriculum, and he defends his decision to keep Zinn’s book, “A People’s History of the United States,” out of Hoosier public school classrooms. As for the IUPUI professor, Daniels says he questioned whether the state should require Dr. Charles Little’s class for professional development purposes, not if the content was right or wrong. Daniels says he supports academic freedom. The Associated Press is reporting that when Purdue President Mitch Daniels was governor, he took rare steps to eliminate what he considered liberal breeding grounds at Indiana’s public universities. As promised, Purdue President Mitch Daniels is letting the campus community know the direction he’d like to lead the university. Daniels released an open letter to students, faculty and staff Friday. In it, he recaps the research he’s done on higher education since his appointment by the board of trustees. He wants an open discussion on some themes he’d like to address. Those are: excellence, affordability, shared governance, engagement, open inquiry, and common purpose. One specific area is boosting graduation rates.